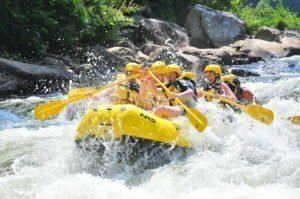 An Insider’s Look at Choosing the BEST River for White Water Rafting! Rivers are magical. That may sound like it’s right out of the 1960s, but it’s true. There is nothing… absolutely nothing… like floating down a river. Tom Sawyer knew this, Huckleberry Finn knew this… And so will you once you take that journey. No matter what, get out on a river, any river! It will excite your senses and soothe your soul. Have a clear idea of what you’re looking for. 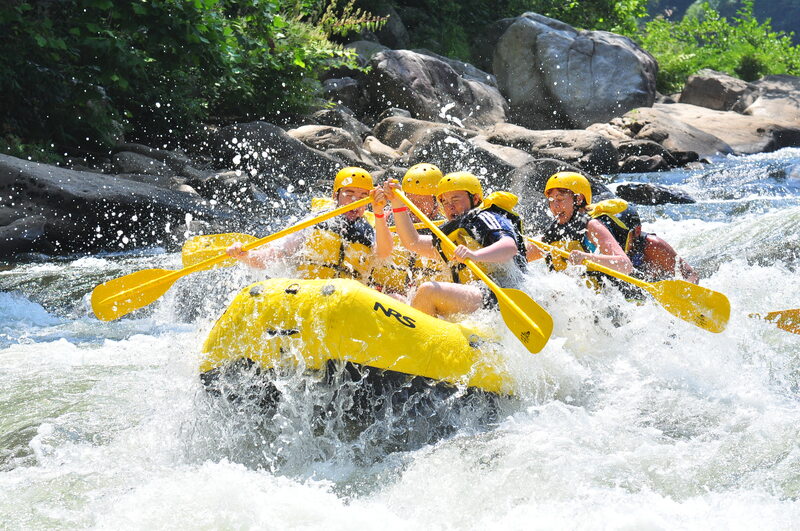 Most whitewater rafting companies have multiple river trip options. You will have many choices in time, cost, and level of challenge. Decide on these in advance. Once you have narrowed it down to two or three options, contact the outfitter directly to help make the final decision on which river trip to take. Each river we run has its own magnetism and chemistry. 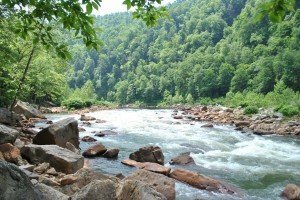 Consider a serene and calm misty morning on the Middle Yough as you cast your fly line, or share a mildly challenging float trip with your family, exploring the majesty of this beautiful valley. 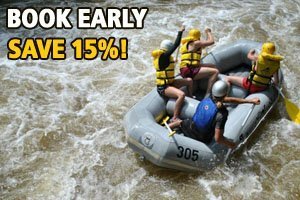 Perhaps you would enjoy the spontaneity and sheer fun of a run on the Lower Yough, where white water rafting began in the East. The largest uncontrolled watershed in the East feeds the mighty Cheat River. Eleven miles of big pounding water courses through a canyon carved from the force of floods, moving you from the civilized world, to the thrill of you verses nature. Looking for the extreme experience? There is no room for error on the Upper Yough. An extreme experience you are not soon to forget! When shopping for an outfitter, the “cheapest” price is almost NEVER the best trip, or best fit, for you. Think about it….you’re choosing to go on a wild river, not an amusement park ride. And in river rafting, as in most of life you do, in fact, get what you pay for. So, look for the best “value” for your dollar. You want a company that will provide experienced, interesting, and entertaining guides. An outfit that places a high priority on state-of-the-art equipment. An organization that offers top-shelf customer service. One that recognizes YOU are the reason for its existence. And, finally, an outfitter who will endeavor to make you feel like the valued and unique individual that you truly are. Speaking of pricing, all companies have discounted specials. They do so to fill low-season trips, or to make up for slow days on specific rivers. Corporations, Boy and Girl Scouts, churches, or other large groups can generally take advantage of significant savings. And if you’ve got a big family, another great opportunity for saving is our discounted family reunion trips. Almost all outfitters you’ll encounter will say their guides are the best, most well trained, fun, safe, etc. They may say their trips are the longest, they have more rapids, or their equipment is the top of the line. An outfitter that focuses on controlling risk versus promoting the ways they can increase risk and exposure identifies a key point in the selection process. Pay careful attention to details they willingly provide. Look for outfitters who can provide specifics such as, “Our guides attend a guide school followed by 10 days of river training” or “each guide is required to have advanced first aid training to advance past the first year.” Basic First Aid & CPR are the minimums almost all river outfitters are required to have. Almost all trips use the same stretch of river and whitewater rapids. Variations in number of rapids or length of trip in miles should be viewed skeptically and clarified. Read more about Laurel Highlands and our history! A word about equipment… Quality commercial rafts are designed to last about 10 years. Brand new rafts don’t mean as much as well maintained rafts. Ask about a regular maintenance and cleaning schedule for rafts and other safety gear like life jackets. After digging into the details remember to take a step back before making your final decision. Since there are so many variables and options, don’t get stuck on just one factor. Be sure to base your choice on a combination of all factors. The outfitters that are leaders in the industry will stand out in many, if not all, areas. Balance consideration of cost with risk, travel time with trip goals, and trip options with group members. You might end up spending slightly more money but feel much more relaxed, travel farther but enjoy the actual experience much better, or raft fewer days on milder rapids but include more friends who might not have participated otherwise. Each river rafting experience brings its own challenges and rewards. As you become more experienced, you will seek out newer levels of challenge and adventure. And know that we are always here to help plan your next white water rafting adventure! 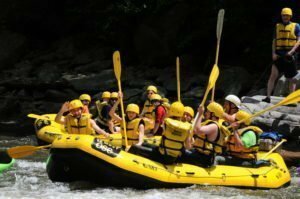 ← Ohiopyle is gearing up for white water rafting! Awesome web page LHRT. Congratulations!